REL 360: Popular Culture/Public Humanities. When I sat down for Mulholland Drive, I was anticipating a good dose of Lynch-induced bewilderment. And I was not disappointed. The film is all shades of weird; most of the plot takes place in the psychotic dreamstate of Diane, an aspiring actress who is driven mad by the Hollywood hustle. 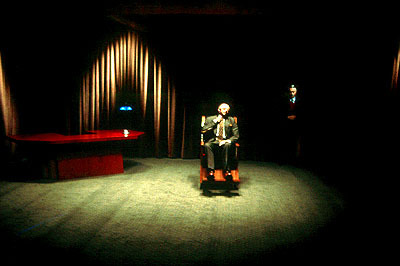 Perhaps the oddest part of the film is the uncharacteristically straightforward and simple ways in which David lynch imparts meaning to the viewer. His emphasis on the insidiousness of Hollywood is, for those familiar with his other work, almost startlingly overt.